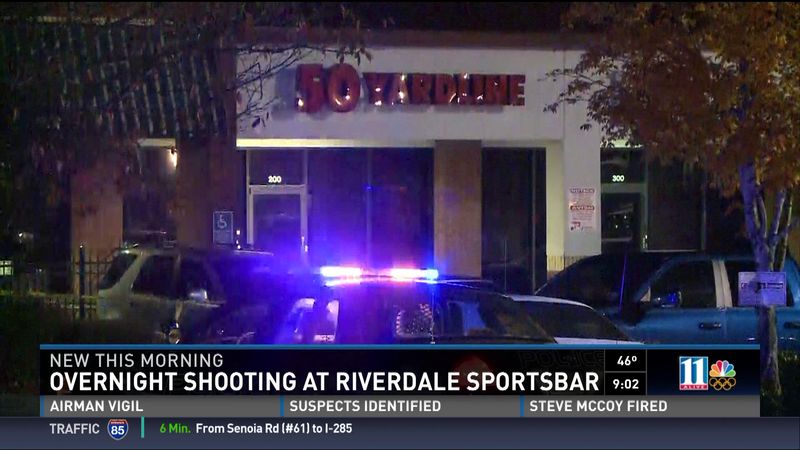 RIVERDALE, Ga. -- An overnight shooting at a sports bar put one man in the hospital on Saturday and has left a neighborhood fed up with the violence. FULTON COUNTY, Ga. -- A police chase ended in a multi-car crash on Old National Highway and Flat Shoals Road on Thursday. Fulton County Police say they were trying to make a traffic stop when then driver took off. The chase came to an end when police say Anthony Murray crashed into three other vehicles. Murray was wanted in DeKalb County for failure to appear in court. He was taken to Fulton County Jail, and faces charges of reckless driving, hit-and-run and fleeing an officer. Two accident victims were taken to Grady Hospital to be treated for non-life-threatening injuries. RIVERDALE, Ga. -- Police say a car was stolen from a Riverdale Krispy Kreme with a child inside. Riverdale Police spokesperson Todd Spivey said the incident happend around 9 p.m. A woman said she parked her car in the donut shop's parking lot and placed the keys on the floor. The woman's 13-year-old daughter was in the backseat. When the woman went back outside, the vehicle and her daughter were gone. The child was later located. The vehicle - a green 1999 Chrysler Concorde, is still missing. RIVERDALE, Ga. -- The Riverdale police chief confirmed, Saturday, that they are investigating a shooting. 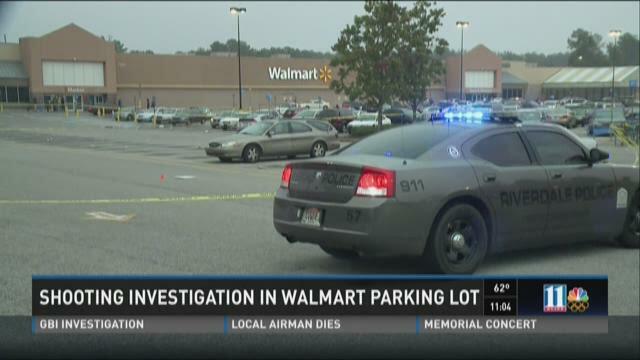 11Alive's news crews found police had roped off a portion of the Walmart parking lot and Clayton County police were assisting, Saturday afternoon. RIVERDALE, Ga. -- A former magistrate court judge in Clayton County is accused of leaving her two children unattended in a vehicle. JONESBORO, Ga. -- A pedestrian is dead after an accident in Clayton County late Thursday. Police said they responded to the report around 9:10 p.m. in the 8000 block of Tara Blvd. A spokesperson for the Clayton County Police Department said a man had been hit while attempting to cross the road. The county's fire and emergency services responded to aid the victim but said there were no signs of life when they arived. Clayton County's Special Traffic Accident Reconstruction (STAR) Unit is handling the investigation. At this point, the names of parties involved in the accident - including the name of the deceased - have not been released.